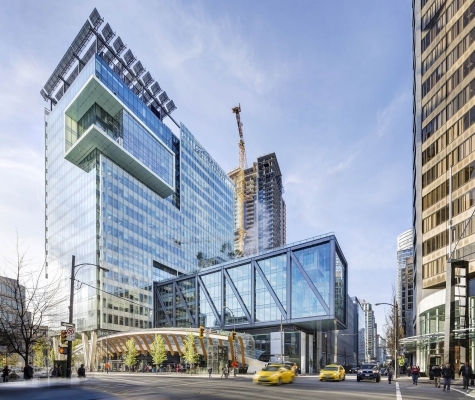 At the base of the TELUS Garden Office Tower, a curved glass Pavilion creates an iconic canopy along Georgia Street. 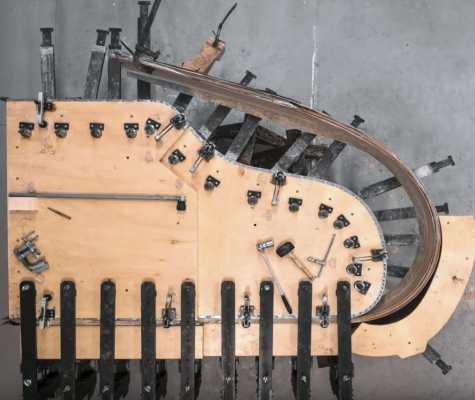 The wooden anthropomorphic ribs are intended to echo West Coast indigenous forms and materials. The axis of the vaulted canopy is defined by a dense tectonic wave of wood that exudes strength, while the structural glazing and leaf-imprinted glass roof blurs exterior and interior space to achieve a sense of permeability and openness to the public. Functionally, the canopy captures rainwater to offset domestic water usage and provides shelter from the elements. Local specialists were carefully selected to fabricate the Pavilion, which was mocked-up in the Burnaby shop of George Third & Son to ensure all complex parts fit perfectly together. 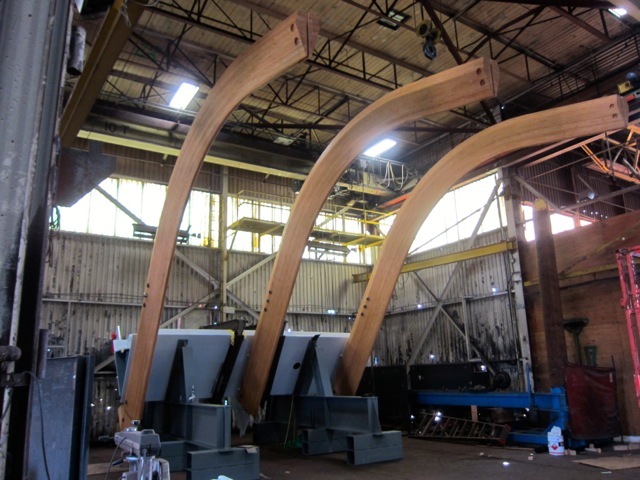 Structurlam, a Richmond fabrication company, formed the complex Douglas fir glulam ribs using a large-scale CNC machine. The curved glass forming the sculptural Pavilion roof was created by ECHO Glass, another local expert. From sustainable features to welcoming public spaces, TELUS Garden has much to offer, including investment in local craftsmanship.